Norman Bonchick is a rarity. In the age of emails and the internet, he still considers face-to-face conversations with the people he conducts business with indispensible. “It may seem old fashioned but I don’t know how to do business any other way,” said the Chairman and CEO of Van Gogh Imports. It’s this philosophy that’s made Bonchick, a 40-year veteran of the spirits world a standout in an industry of outsized personalities. I’m the second generation in my family to be in the in the beverage industry. My father worked for a New York wine and spirit distributor and the owner recommended me to Joseph E. Seagram and Sons. I started in their training program in November of 1971 and have been working in the industry in various capacities ever since. What inspired the creation of Van Gogh Vodka and what is your vision for the brand? 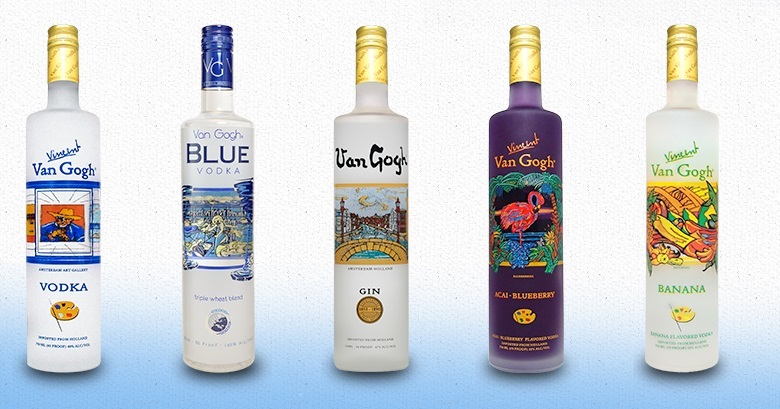 The original founder of Van Gogh Imports started the company after leaving another very successful vodka company in the U.S. He went back to his Dutch heritage where he connected with the Royal Dirkzwager Distilleries. The brand initially started with a gin and eventually moved toward vodka and flavored vodkas. Our Master Distiller, Tim Vos has worked with us to create a portfolio of vodkas that celebrates the brand’s namesake: beautiful, artist-inspired packaging and innovative flavors with vibrant, true-to-life tastes. My vision is to have the various expressions of Van Gogh Vodka recognized as the standard of excellence in its category. What differentiates Van Gogh from other Vodkas? What trends are you noticing in the beverage industry and how do you capitalize on them? The difference between other vodkas and Van Gogh is our exceptional taste and pioneering spirit. We are continually a category leader when it comes to introducing new flavors – for instance, there was no coffee-flavored vodka in existence before Van Gogh introduced our Espresso and Double Espresso flavors. We are regularly considered the benchmark when it comes to flavored vodkas. When we look at the intrinsic qualities of the brand, our flavors are authentic and honest--they smell and taste exactly as the name says on the label. Another hallmark for our vodkas, including our unflavored selections, each is exceedingly smooth. All of this means that the brand regularly receives top awards and accolades from influencers and the media. We believe that sharing this message about our quality and taste is important to our fans and customers – they want to know what the experts think. And, most importantly, today’s consumer wants simple but excellent tasting products that provide instant gratification. How important is bottle design? Bottle design and packaging is a critical part of the consumer purchasing decision. Eye appeal comes before the product is ever tasted. Our goal is a package that attracts attention and conveys Van Gogh’s promise of what’s inside the bottle. What strategic partnerships are you implementing that have contributed to Van Gogh's success? Strategic partnerships are vital to a brand like ours to reach consumers and trade as and give back to the community. On the trade side, we work with the United States Bartenders’ Guild as a national partner. This partnership gives us the opportunity to touch mixologists around the country in a more educational or social setting. We’re able to help fund a group that supports the backbone of our industry—bartenders—while obtaining additional awareness for our brand. We are not a large company and can’t always reach as deeply into a market as we would like; the USBG partnership gives us some extra range. On the consumer side, we work with the True Colors Fund, founded by Cyndi Lauper. Specifically we are involved in their Give A Damn Campaign, which promotes equality for all. We’re very proud of this relationship and the important work this organization undertakes. We work hand-in-hand with the charity each year to create programming that raises funds and awareness for their cause. Describe an ideal situation to drink Van Gogh Vodka? For me, it’s vast. Relaxing at home, dinner with friends, drinks with associates, relaxing by the pool, happy hour, Sunday brunch…all of these situations present an ideal time to enjoy Van Gogh. And, because Van Gogh has 22 flavors, two unflavored vodkas and a gin – we truly have something for everyone, so long as you want it to be delicious! Does your company utilize social media and what marketing tactics do you employ that bring success? We heartily embrace social media as it allows us to engage and talk with our consumer rather than at our consumer like traditional advertising. We love the idea of interacting and hearing what our customers think and want when it comes to our brand. We keep it lean and mean in marketing with focused programs that highlight the quality of our flavors and their ability to standalone. Treat people the way you want to be treated, and give back whenever you can. Giving is not an obligation but a privilege and nothing feels better than when you exercise that privilege. I would choose pasta and a great tasting Van Gogh Vodka on the rocks. There are many role models to choose from in my 40 plus years in the beverage industry, but the people at the top of my list are three of my ex-employers: Arthur Edelstein, the owner of Federated Distributors in Chicago; Al Davis and Michael Carlos, both of National Distributing Company. My personal role model was my older brother Bob who was an amazing guy. He had a very successful career at I.B.M. rising to the top echelon of management while being a great family man. He was a very hard worker with a great sense of humor. It’s very simple: surround yourself with the best people you can find. A little bit of everything. I read everything from news to novels and most of it on my ipad as it allows me to keep abreast of what’s happening in the world around me regardless of where I am. A prediction that the restaurant business in the United States will experience an upswing in 2015. 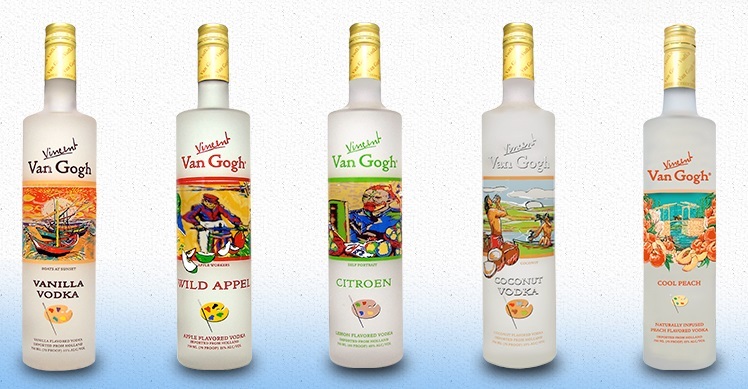 What's next for Van Gogh Vodka? We always have a lot of irons in the fire, but we don’t make decisions lightly – it has to be the right flavor or product at the right time. Having said that, as the CEO of Van Gogh Imports I am fortunate to work with a number of great spirit brands from around the world. For instance, we are currently launching our 3rd expression of our Tap Whisky brand: Tap Rye 8 Year Old Sherry Finished. We expect to introduce more Ron Abuelo marques to complement the 4 oak-aged rums from Panama that are on the market. From Italy we work with the Molinari family and their iconic Molinari Sambuca Extra. In 2015 we look forward to promoting some of Italy’s favorite ways to consume Molinari in the U.S., because who doesn’t want to eat and drink like an Italian? Bonchick’s keen understanding of marketing and promotion and his inherent savvy for customer relations have been the hallmark of his career. Norman got his initial start at Joseph E. Seagram where he served as the Assistant Division Manager for over six years before becoming the President of South Shore Liquors in Chicago. After eight years, Norman became the Managing Director of National Distributing Company of South Florida before being elected Chairman and CEO of Van Gogh Imports. As current Chairman and CEO of Van Gogh Imports, Norman brings a hands-on approach to the business. The diverse portfolio spans from premium to luxury and includes numerous marques from leading international producers: Van Gogh Vodka, Ron Abuelo, Jumbie, Seco Herrerano, Molinari Liqueurs, Limoncello di Capri, Spicebox, and Tap Whisky. Each of these superior brands drives innovation within their category. When he’s not traveling for Van Gogh or volunteering with United Cerebral Palsy of South Florida where he is the Chairman, Norman can be found spending time with his wife of more than 35 years, Cathy, enjoying time in Italy, playing golf, reading the latest John Grisham novel, and splurging on some late night ice cream.